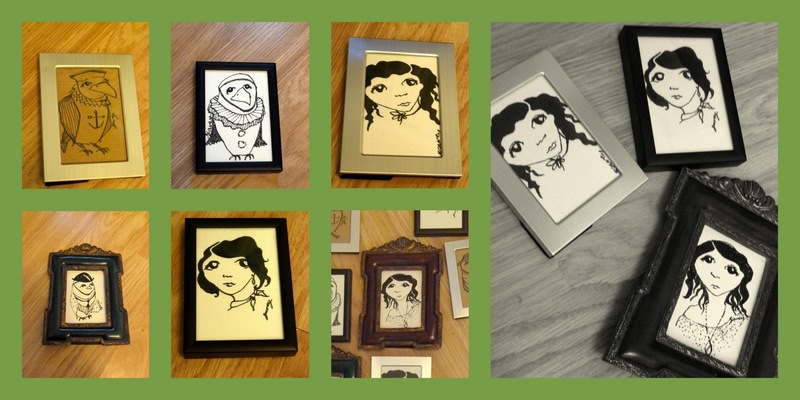 With the success of Sedwick, my miniature monocled friend, I have started a new range of Mini Art in second hand and Vintage frames. These will be on sale at my exhibition from Wednesday. So come along and take home a tiny pieces of art, fresh from the sketchbook and framed for you. This looks like being a fantastic exhibition well done you x so much hard work!